The RVTravel.com Newsletter publishes a pair of our locations every week. 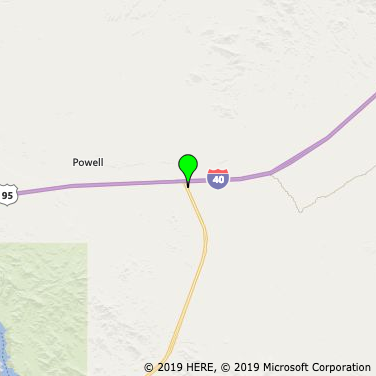 The two locations below were published on Mar 29, 2019. RVer report confirms reports from Feb 2009, Jan 2015 and June 2017. 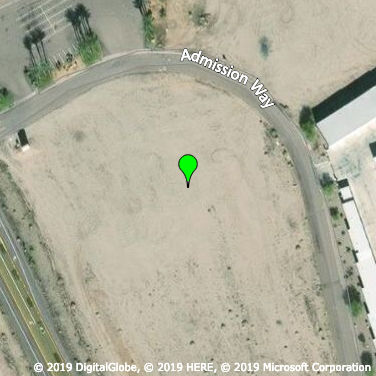 Overnight RV Parking is allowed in large gravel lot just S of Chevron Station & across SR 95 from Pilot Travel Center. Large lot is about 1000 ft long & 400 ft wide. Unlighted and fairly level. Appears safe, with possible highway noise. I-40, Exit 9, then S on SR 95 to Lot on E side of Hwy, S of truck stop. RVer report confirms reports from May 14 and Feb 2015. Overnight RV Parking is allowed. Permission from manager required; but manager told at least one RVer that McDonalds has no liability for RVs parked overnight. Park in one of 4 marked Bus parking spaces along SE edge of lot. To extend a streetside slide over curb, enter from Jack Burden Dr & park in RV space adjacent to curb. Well lighted, appears safe. Not level; RVer in 40 ft Class A reports 2 ft difference front to rear. Expect traffic noise from adjacent US 60 & from traffic at this 24-hour restaurant. 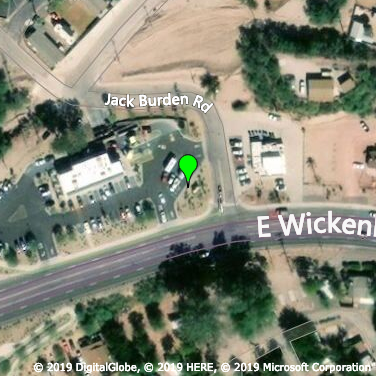 One RVer reports that McDonald's free wi-fi reaches these parking spaces. 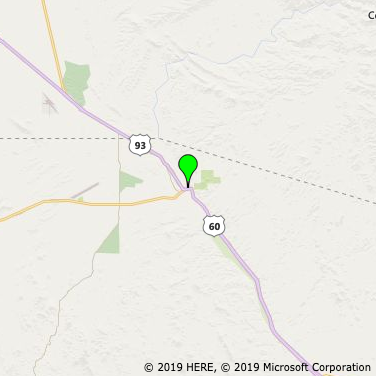 On N side of US 60, ~ 0.2 mi E of junction (traffic circle) with US 93 at southern terminus of US 93. Enter from US 60, or from Jack Burden Rd, immediately E of lot.